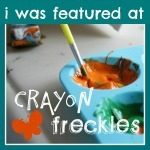 From Pink and Green Mama - this black eyed peas filled sensory box is gorgeous. Nurturestore have this amazing Halloween Jelly Messy Play! Dandelions in My Vase has a beautiful black bean and dyed pasta sensory tub. 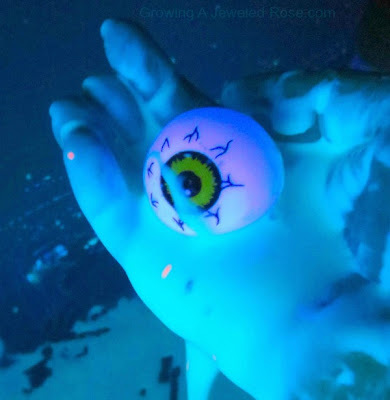 How about some Glow in the Dark Slime from Growing a Jewelled Rose? or some Messy Monster Balls? or this amazing Glowing Goblin Goo for some bathtime fun! This delightfully colourful sensory tub from Pursuing Healthy Living looks great. Get super messy with this Spooky Slime Sensory tub from What do You do All Day? I Can Teach My Child created this Monster Sensory Tub from water beads and googly eyes. 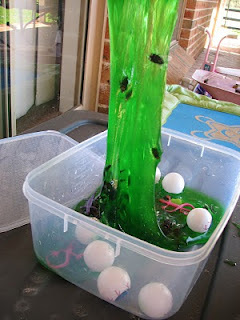 or get really messy and try some of their slimy Spaghetti Potions. Royal Balloo have a beautiful spider-y sensory bin. 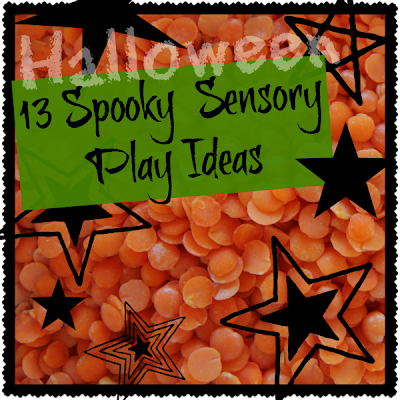 This halloween sensory tub is amazing from Happy Hooligans. Spook-tastic! 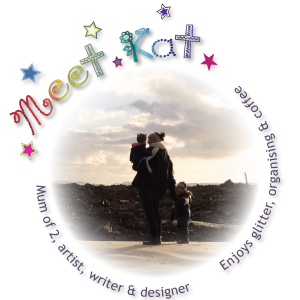 What a great round-up and I love that you did unlucky 13. Ooooh I love these ideas. Such creepy gooey fun! Thanks so much for including Growing A Jeweled Rose! Wonderful play collection! 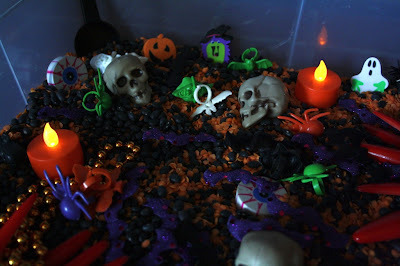 Thanks for including our Halloween Sensory Tub in your roundup! Great collection!